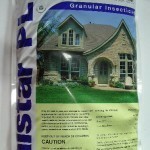 PRODUCT DESCRIPTION: Granulated material which is designed to last longer in the rain and sun than ordinary sprays. Talstar will release slowly into treated areas and provide up to two months of control. It uses an odorless active which is very new so targeted pests are very vulnerable to it when it's applied. TARGET PESTS: Just about everything. 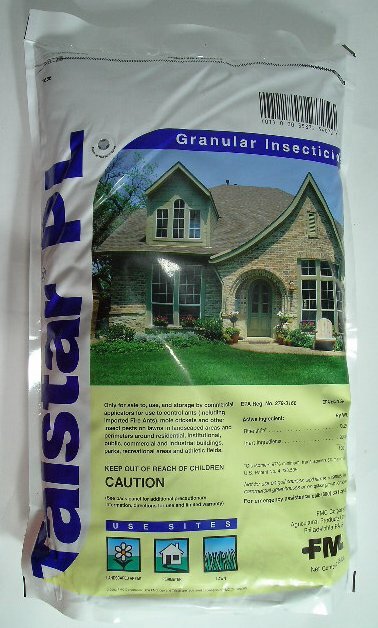 It is very active against mole crickets. WHERE TO USE IT: Around homes in turf, flower beds and mulch areas. Use a hand spreader to apply it for effective and efficient coverage and treatments. RATE OF APPLICATION: When treating for mole crickets, there are two rates of application. Use 25 lbs per 5,000 sq/ft if you have a problem; use 25 lbs over 10,000 sq/ft for preventive applications. Efficient. This product is so easy to use and very efficient. The ant hills have already subsided. Also, has a very fine consistency and allowed me to set my spreader in narrow opening so it cover my whole property with product to spare.